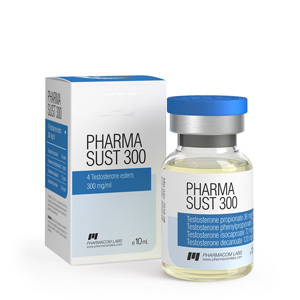 Pharma Sust is a steroid preparation of four testosterone esters. 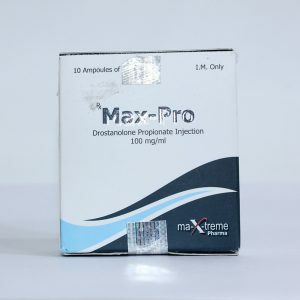 He himself is a harmonious and long-lasting mixture of testosterone decanoate, isocaproate, phenylpropionate and propionate. The drug due to its base can boast of a fairly even activity and its rapid manifestation after injection. It is a powerful steroid anabolic and androgen. 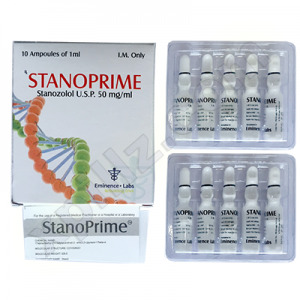 Pharma Sust 300 analogs (like Sustanon 250, Omnadren 250 or Andropen 275), as well as the drug itself, are considered to be one of the strongest means for gaining muscle mass. They can also be widely used in traditional medicine. Testostero-containing drugs have long been prescribed to men for disorders of the reproductive system, the treatment of diseases of the bones and joints, decreased performance and / or mental activity. This is a broad-spectrum drug. During its application, multiple improvements can be achieved, attributable not only to the development of physical fitness, but also to the general strengthening of the body. Acceptance of injections contributes to the improvement of the general condition, an increase in reserves of strength and increases the desire to train. According to its properties, PharmaSust 300 has both powerful anabolic activity and a strong androgenic effect. 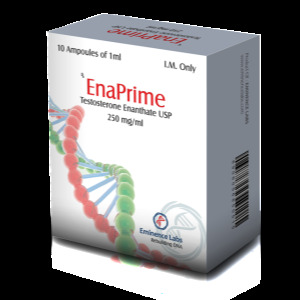 Because of its high androgenicity in sports purposes, it is recommended exclusively for men. Female athletes performing similar injections will find it extremely difficult to avoid the side effects of masculinization (from increasing sweating and oily skin to increasing voice tone). If we describe the positive effect of PharmaSust, then first of all it should be emphasized that, if the recommendations are followed, the athlete can achieve maximum muscle mass gain (some fall on retained water). At the same time, the results, as a rule, manifest themselves in a fairly short time, literally within the first few weeks of the course, and only progress with time. Increased libido (during the course). And what side effects of Pharma Sust 300 mg can disturb men? Androgenic disorders, such as acne or acne or facial hair growth, are likely to be present. There is also a risk of estrogenic side effects, which include excessive fluid retention, increased body fat and increased blood pressure, gynecomastia with susceptibility. A consequence of the use of this steroid may be a decrease in the production of your own testosterone. Pharma Sust storage conditions: keep away from light and moisture, for precautions, keep out of the reach of children or pets.